BBQ grill repair in Dublin, CA - HIGHLY RATED! 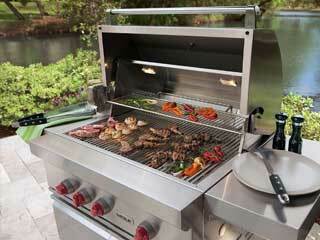 We are BBQ grill repair in Dublin experts. Our company performs BBQ repair, BBQ cleaning and BBQ restoration services. If your outdoor kitchen appliances need cleaning or repairs, we are the company to call. 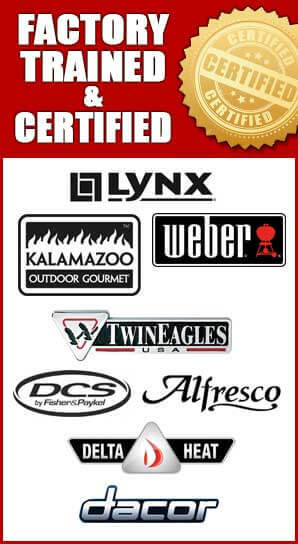 Our team is factory trained and certified to do repairs most major brands of BBQ grills. That includes Alfresco, Capital, DCS, Fire Magic, Kalamazoo, Lynx, TEC Sterling, Thermador, Twin Eagles, Viking, Weber and Wolf and much more. They are experts diagnosing the problem and finding the simplest and most affordable way to fix it. There is no project too big or small for us. If you have a custom, high-priced or European model of BBQ grill, we can help you save money and find the problem fast. We repair both residential and commercial BBQ grills. Our BBQ grill repair in Dublin team is known to do an outstanding job in product maintenance, diagnostics, repair and customer service. We fix gas BBQ, charcoal BBQ, electric BBQ, portable BBQ and smoker BBQ. It does not matter if you have a freestanding or built in BBQ grill, we do it all. Give us a call at 510-731-6480 and we will provide you with a free and accurate job estimate. We will let you know if your BBQ grill is worth saving. Most of the time BBQ grill will need part replacement. In some cases, you will need a major barbecue grill restoration. However, even in this instance, it will be way cheaper than buying a new grill. We guarantee you that after an appointment with us, your BBQ grill will be clean and fully functional! You will be totally satisfied with our work! What to expect from BBQ grill repair in Dublin service appointment? Give us a call or fill out our online form and our team will be ready to help you right away. We will provide you with an accurate estimate. Then we will make a convenient appointment for you. 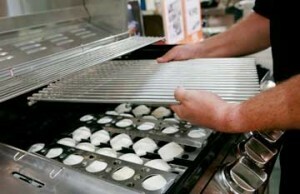 Our BBQ grill repair in Dublin technician will be on his way to your home or business right away. He will be bringing all the equipment and parts needed for your particular grill. We thoroughly prepare our team for any project. We do not like to waste your time by going back and forth and making multiple appointments. So, we try to avoid it as much as possible. At the end of the job, you can expect perfectly functional and clean grill. You will be surprised at how much difference such grill can make in cooking. Also, after every appointment, our BBQ grill repair in Dublin technician will perform a complete safety check. He will offer you advice on how to maintain your grill in the best shape possible. 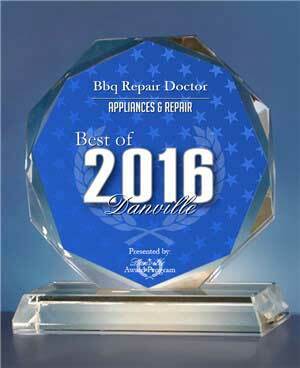 Also, if you want total peace of mind about your equipment we have annual and by annual service maintenance appointments. This way your grill will be professionally maintained all year round. 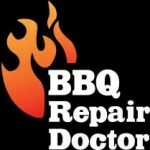 Why pick us to do your BBQ grill repair in Dublin? We are BBQ grill repair in Dublin specialists! We have knowledge and experience to solve any BBQ grill repair problem. Our technicians are factory trained and certified to do their work. We also come fully prepared to any appointment and carry most of the BBQ grill parts necessary with us. We want to save you time and make BBQ grill repair hassle free. For BBQ grill repair in Dublin please call us 510.731.6480 to schedule an appointment. Or fill out our short online form. We would love to hear from you and answer all of your questions.